There was a point in time where Mac Miller owned the internet. His video campaign for K.I.D.S. stole our hearts for its purity and Mac’s clear lineage to the punchline masters that came before him. 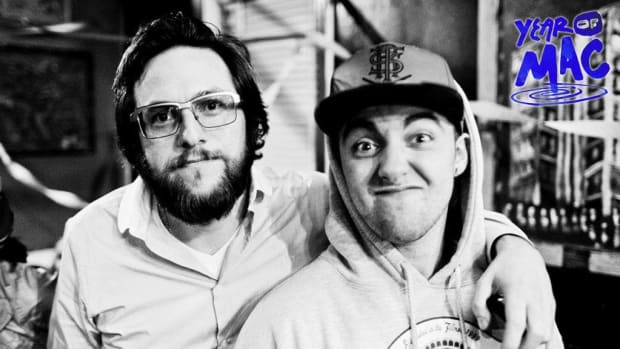 From the “Cruisin’” video to the visuals for GO:OD AM and potentially beyond, Rex Arrow was the man responsible for bringing Mac Miller’s warmth and joyful persona to life on the small screen. 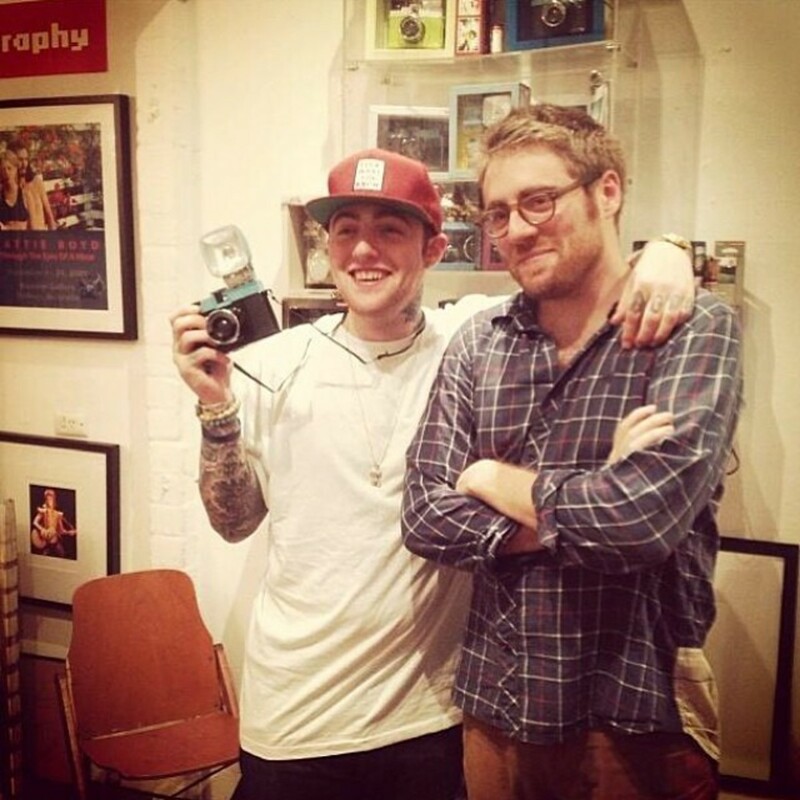 Rex Arrow was the man responsible for making every Mac Miller video larger than life, just as Mac himself was so. 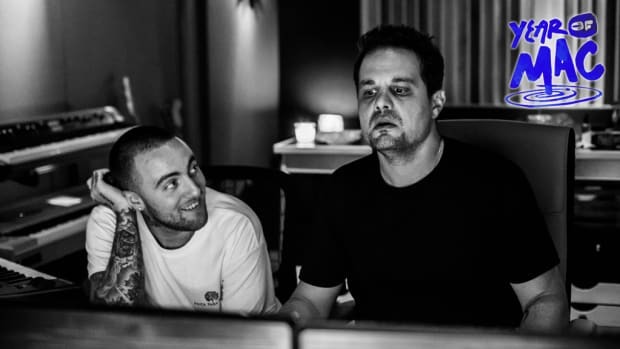 To celebrate their impeccable music video catalog and Malcolm’s life and friendship, I spoke with Rex about a handful of Mac’s videos and their touching relationship. DJBooth: First off, how are you feeling? Rex Arrow: I feel like I sort of go in and out of waves of feeling things about it. Last year was sort of strange because essentially I found out about it and then there was just a flurry of activity involving funerals and memorials and the benefit show. It just all kind of blurred together at the end, and afterward we were all kind of left with silence. The silence has been harder to deal with than the activity. It’s been a strange couple of months of revisiting memories and also coming to terms with the fact that I can’t reach out to him or talk to him. It feels weird. I’m sure I’ll be grappling with this for a while. Take me to the first time you met Mac. 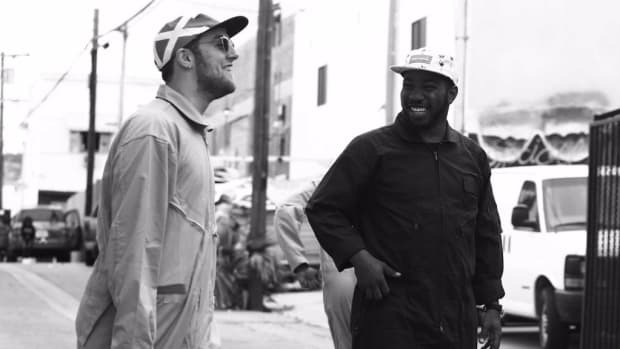 The first time I met Malcolm, I was actually shooting a feature film in Pittsburgh, and a good friend of mine who was in the film recommended Malcolm as someone who could play the role of a high school drug dealer. Malcolm showed up to my house, and I had never met him before, and he was dressed for the part: a polka dot Yankee baseball hat and a hoodie that said “Pimps, Moneys, Hoes.” It was quite an introduction, and then it turned out my mom was his Sunday School teacher eight years prior. Classic Pittsburgh thing. He was actually in my film for a brief scene, first, and then we reconnected a year later. That was when we shot the first music video we ever did. What was the first video you worked on? We did “Cruisin’.” He was really excited, he just finished it, he sent me the track. I was like, “This is amazing, do you want to shoot a music video?” I was living in New York at the time and I drove back and we shot it over the course of a weekend, and that’s where it all started. Then you guys really hit the ground running for K.I.D.S. and Best Day Ever. Every couple of months, he would hit me up, and we would do a video. The momentum was starting to build. I remember the week he had returned from LA, which was his first time in LA, and he had just recorded “Nikes On My Feet.” It just felt like such a revolutionary step forward for him and the K.I.D.S. campaign… Everything just started picking up speed and accelerating and we couldn’t shoot the videos fast enough. It was hard to describe, but we kept feeding off the momentum that he was building. We kept shooting video after video and got more ambitious. What was the energy like during that time? It was exciting! 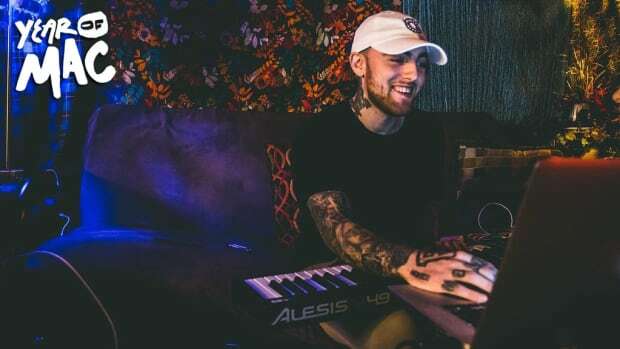 I would be in New York and I would come back to Pittsburgh, and every time I reconnected with him, it was clear he was taking leaps and bounds forward. Whether it be on the recording or production side, even his vision for how everything was going to come together. It was his idea to weave the video campaign together for K.I.D.S. as a day-in-the-life video series that we built upon. “Nikes On My Feet,” it’s kind of a long build up until you get to the track, and for Malcolm, he kind of wanted to expand into more storytelling. It was kind of infectious, between Malcolm and Q and TreeJay and Benjy, there was just a momentum to just keep pushing things bigger and bigger. By the time we got to “Don’t Mind If I Do,” we wanted to go bigger than we’d ever gone. As we transitioned into Best Day Ever, it was just a continuation of that. By the time we got to Blue Slide Park, it was that times 10. When was the first time you were taken aback by his creative mind? I think early on, we were both finding our way in terms of what his visual persona was gonna be, and what the style was gonna be. Music videos are tricky, and he sort of realized that at least from a perception standpoint, there might be a little bit of an uphill battle. He’s a white, Jewish rapper from Pittsburgh. I think the approach was always to take it askew of the center and do things that were slightly irreverent or slightly unconventional, that way at least he could sort of be in his own lane. 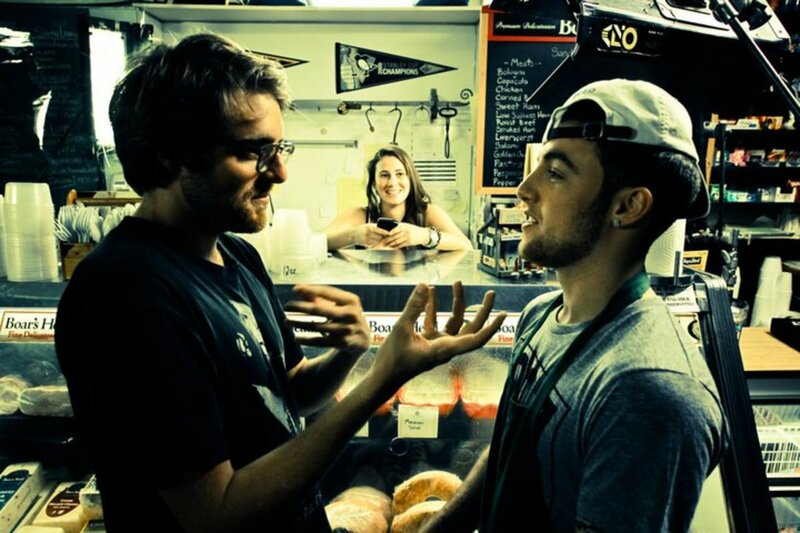 We were just finding our way and I just remember as we got to Blue Slide Park, he and I really started to feel like we’ve done enough videos at this point that felt like him performing the song for the camera. How can we now take it into something deeper? I come from a background of feature filmmaking and narrative filmmaking. I was down to go into more surreal, trippy terrority, and the moment I started pitching it to him, it wasn’t that he was like “Okay, cool, that sounds great.” It was “Okay, cool, can we do this?” and it was always an idea that pushed whatever concept we were working on further. For a kid that was—again, he’s nine years younger than me. His mind was just full of ideas that were much more advanced for what I expected from him. Especially as we got deeper into the videos that we did, he was always willing to push outside of the box. I have a very special relationship with “Knock Knock.” An old therapist once asked me what made me happy and I played her that video as my answer. Yeah! 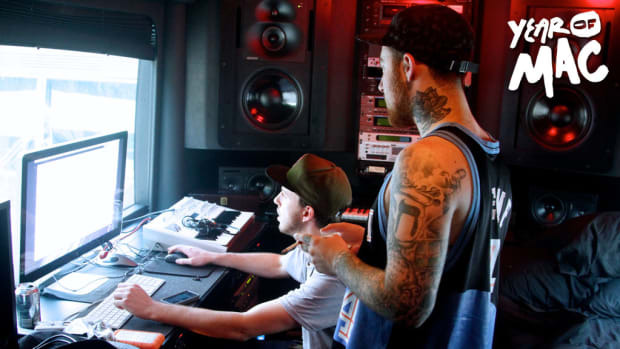 When Malcolm first played me the track, we both kind of jumped to “It would be cool to do something that was kind of a throwback.” That sort of slowly evolved, and the idea of mixing black and white, and color came in. I had done some dance stuff in college, and musical theatre in high school. I was like, “Look, man, it may sound strange but I think it would be cool if we kinda did something that felt a little Westside Story.” It was a cold day in November. We shot the whole thing in one day, which is crazy to think about now. The moment he wrapped his head around it, he was 100 percent down. From the black and white stuff, to him sort of lucking into finding this varsity style that he found a week before, it added the perfect element to the video. He was a total champ about doing the stuff that was more dancey. When we moved into the studio to do the color stuff, it was amazing to watch him perform. He jumped into that character and there were 40, 50 people in that room, and he had them all completely charmed that entire time. It was one of those videos where we felt like we took a big step forward, and there were a lot of those videos, but that one felt like something special. It resonated with both the kids listening to it and my mom loves that video, for what it’s worth. 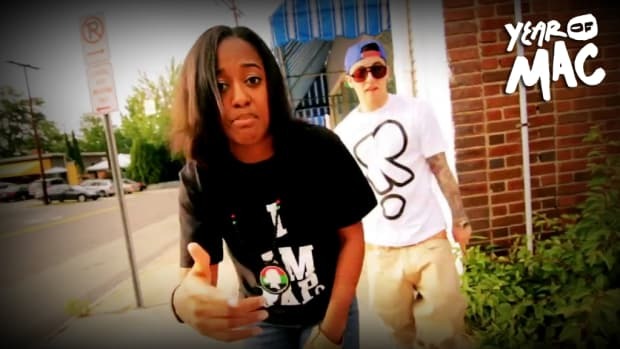 And then you did the video for “I Am Who Am,” which is my favorite Mac Miller song. The Watching Movies project was initially envisioned as this multi-video story. A video for every song and at the time, I had become obsessed with Yayoi Kusama, the artist that does the infinity rooms. I had never seen anything like that, and I was like, “What if we built a room like that?” When I listen to the song now, it makes perfect sense that that was the visual for that [song], but at the time I was purely responding to the sound of the song. It felt very insular and private. I was like, “What if we built an infinity room for Malcolm to sit in?” and we had to figure out a way to shoot it. I had my team figure out how to build a ten foot by ten foot by ten foot infinity room with water along the floor. Two of the walls were traditional mirrors and two of the walls were see-through mirrors. It’s like a two-way mirror. The thing that was pretty trippy, is on the day of the shooting, the way that the room was constructed, basically Malcolm had to go into the room and once he was in the room, we had to bolt the room shut. We communicated with him via walkie-talkie. It created this isolation chamber for Malcolm. Thinking about the song, I don’t know that there could’ve been a more perfect setting for him to perform that song. The thing that’s really trippy: from his perspective, all he could see were reflections of himself. So in a weird way, that video more than any video we’d ever done, that video perfectly captured what he was ruminating on in the song. And I can only imagine what it was like for him to sit in a room where all he could see is himself. And then perform that song, which is about so many things, including looking inward. I was responding initially to the sound of the song, but I really do feel like there could not have been any other video for that song. Now, I’d love to hear about your friendship. I know E. Dan was in a similar position, and Jerm… When I met him, he was 16 years old and my feeling about him was that he had an infectious personality and that he was a great person, but what could I actually learn from someone that’s nine years younger than me? My friendship with Malcolm, it was a decade of discovering that it really doesn’t matter how old someone is, you can learn things from every person. What’s really beautiful about our friendship is that it evolved over time. In the beginning, I really was a guy who was helping him make videos, and then we became friends, and then we became close collaborators, and then in the later years… We lived together for a summer in Malibu and our relationship in the last few years was changing a little bit. We weren’t working together as much, but our relationship was taking a step forward in another way where I felt like we were becoming just friends, which felt like a huge relief. I could actually just be a friend for him. With Malcolm, I could not see him for six months, and the moment I saw him, it was always “How are things going in your life?” It felt like no matter where he was in his career, he would always take the time to actually catch up and there was always a moment where he would take himself outside of whatever was going on in his life to listen to your problems and to just be a friend. One of the last conversations I had with him—and these conversations happened all the time—Billboard had done a retrospective of all of his videos up to date, right before Swimming came out. He sent me a text out of the blue: “Hey, man, I just watched Billboard. You know what video you really killed?” I didn’t have any idea what he was gonna say. “The ‘Avian’ video? I just felt like you killed it.” I wasn’t asking for the feedback, but it was such a sweet moment to be like, “Hey, I have a lot going on, but I was just reminded of this thing we did and it was really beautiful.” He essentially said thank you. There were hundreds of moments like that where Malcolm would stop and make a point to let the people know in his life that he not only cared about them but that he appreciated what they brought to his life. That’s the kind of warm person that he always was, and he never lost, no matter whatever heights he sort of reached. I miss him enormously, and it’s… We all feel the hole that he’s left. Sorry, it’s hard to sort of recall everything. No, don’t apologize. Though everyone does and I can’t for the life of me understand why. I think it’s just that we all sort of picture that there’s sort of a perfect way to remember him or at least convey the way that we remember him articulately and eloquently. Do you have an “I’m just happy I…” moment with him? On the one hand, I can’t really sum up what the body of work that we did together means to me. I don’t know that there will ever be a body of work in my life that I’m as proud of, or feels like such a major achievement. What we did, it’s hard to compare to anything else. I’m so thankful and happy that we have this body of work I’m incredibly proud of and I knew he was proud of as well. I’m so thankful for that. I’m also so thankful and happy I have all these memories that have nothing to do with the videos we made, that round out the sort of picture of who Malcolm is. Whether that’s living together in Malibu… The last time I hung out with him, it was just grabbing a beer. I’m so thankful for Malcolm having come into my life. I don’t have words to really articulate that, but I’m so thankful and happy that I met this person. 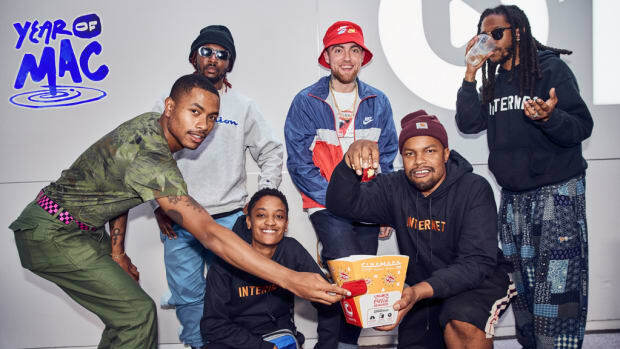 Our latest installment in Year of Mac is a special interview with close friend and collaborator Syd, of The Internet. Year of Mac continues with Benjy Grinberg to talk all things Mac, Rostrum, and legacy.